Redwood Writers, the largest branch of the California Writers Club, is home to hundreds of writers—from beginners to successful published authors, poets, playwrights, journalists—who enjoy a variety of social, professional networking benefits. Check out the meetings archives (listed by year under the "MEETINGS" tab.) to read about all the wonderful speakers from past meetings. Author Support Group meets monthly before the regular meeting. 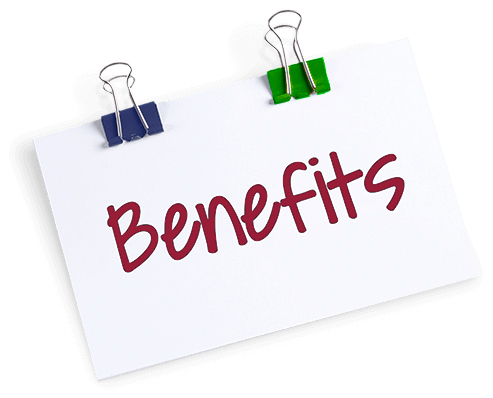 Whether you’re newly in the game or an old pro, Redwood Writers has something for everyone. Check out these examples of our workshops and conferences. Authors with new books meet with adoring crowds to celebrate their success. Every year at the club's official Author Launch, our members with new books read an excerpt in front of a packed house in the ballroom at the Flamingo Hotel. Members have opportunities to sell their books at monthly meetings and other events. Authors keep 100 percent of sales. Authors have many opportunities for local distribution of their books. Our cooperative relationship with Copperfield’s Books allows members to display and feature their books in store, and via the store’s various author events and book clubs. Promote your books at monthly meetings, in Redwood Writers newsletter, via your website/blog listed on the RW web site, and on the RW Goodreads page (click here for more information). You've written your book, but who is going to read it? How do readers find your book? At the outset, building your author platform may appear a daunting task, but we're here to help. The RW network and its excellent resources can help you refine your platform to attract an audience of devoted readers. 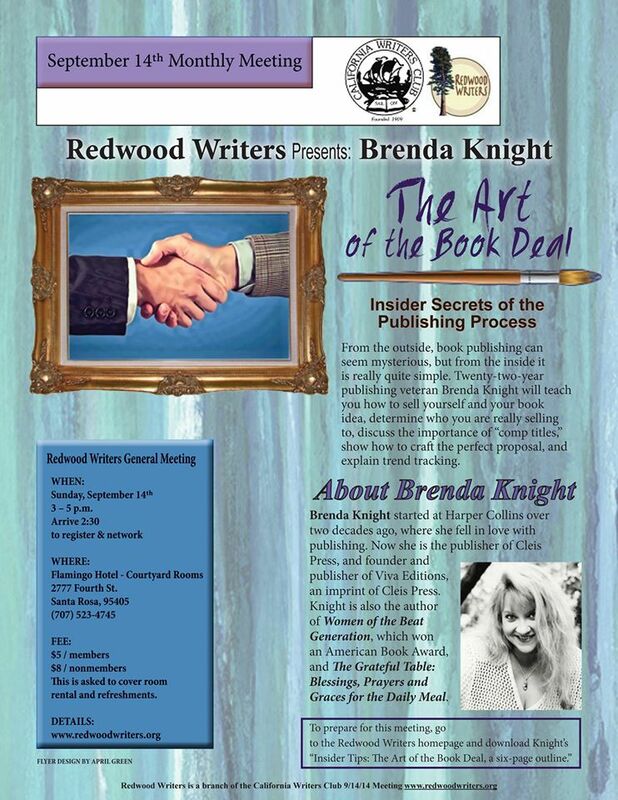 In addition to professional speaks at monthly Redwood Writers meetings, conferences and workshops, RW offers public relations and marketing support, including social media. Annual publishing opportunities just for members include themed anthologies, edited and published in beautifully crafted volumes. Click here for more anthology information. Enjoy the support and camaraderie of other writers. 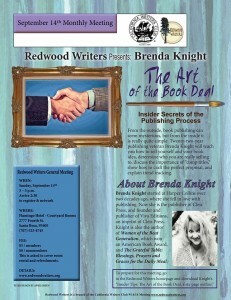 Redwood Writers boasts more than 300 members and growing, making it the largest chapter of the California Writers Club. Expand your networking and enjoy easy access to the California Writers Club to find out about other chapters, writers conferences, writing contests and more resources. Enjoy statewide support from the CWC and continue in the tradition of Jack London and friends who believed California creates talented writers...like you! Share this information with your friends and colleagues. If you need more information, we invite you to attend a member meeting or contact our club leaders. Find out how you can join the Redwood Writers by following this link to the membership page.